I spent last weekend in beautiful Southern California attending the Big Traveling Potluck courtesy of my friends at Imperial Sugar. It’s a conference – of sorts – or that’s what I thought going into it. I thought I’d go, catch some sun, eat some really good food and learn a few things, also maybe meet some blogger friends who, up until then, I’d only known via social media. And while some of that happened – the sun, good food and amazing people part – the “conference” however, was anything but a conference. The word “retreat” really does a better job at describing it. The team of folks who organize it deserve the biggest round of applause that I can think or dream of. 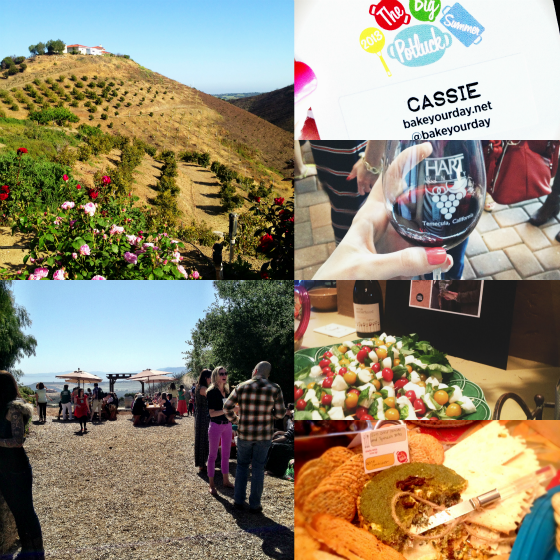 The whole thing was truly spectacular – from the sponsors, the location, the food, and really – the people! I flew in to San Diego on Friday, met up with Ali & Carrian; Carrian’s sister-in-law drove us to our hotel and the minute that we stepped inside, I knew that I would leave with some great friendships. Chris met us at the door with goodie bags and a huge smile. This guy – if you don’t know him, I only hope that you can meet him once in your lifetime…he is so full of life! This Midwest/Central-time-zone native was exhausted by the time Friday was over. So we literally crashed immediately to prepare for Saturday. Saturday, again we were bused to our location for the day – a home to two of the most hospitable people I have ever met. 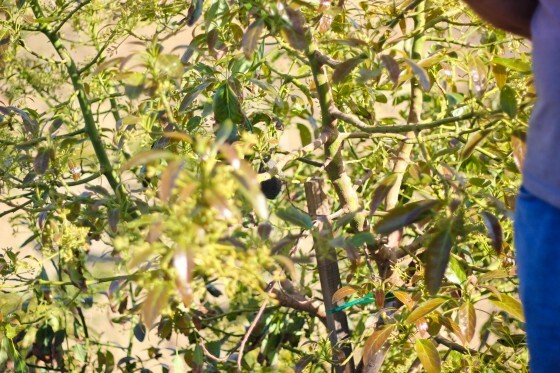 They opened their beautiful home and avocado grove to us for the weekend and not only did they open it to us – they helped and were ever-so welcoming the whole weekend. We were met with huge smiles, huge excitement and a huge breakfast spread…including mixing bowls full of fruit which matched their accompanying mixer – how cute is that idea! We enjoyed breakfast by getting to chat with our friends – and make new ones and then got the day started with an inspiring chat from Melissa Lanz – she recently wrote a book by which I am so inspired. Her story and her encouragement were top-notch. The other talks – by Matt Armendariz, Helen Jane (LOVED her!) and Ree Drummond – were equally as funny, inspirational and more than once did I experience a “lightbulb moment”. Whole Foods hosted the most incredible “Beans, Greens & Grains Bar” lunch, in addition to a DIY Spritzer Bar – this was so fun! Tons of fresh fruits, vegetables, seltzer water, etc. I wish I had one of these every day! 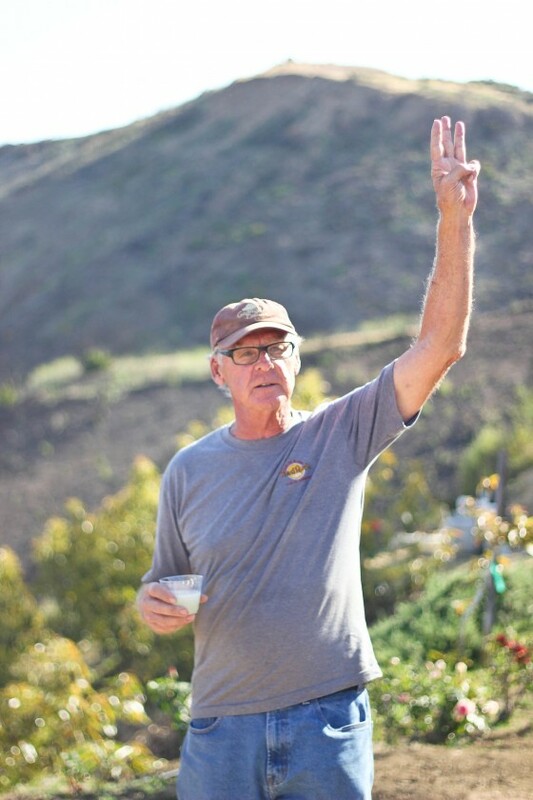 Following some afternoon chats, we were treated to fresh margaritas and an avocado tour by Ron, the owner. This guy had such an interesting and inspiring story himself. It was evident immediately that he is so passionate about what he does and I actually learned a lot about growing avocados. And what would an avocado grove tour and margaritas be without guacamole?! So we had a guacamole contest, judged by the avocado queen, herself, Gaby Dalkin, who recently wrote Absolutely Avocados. This book is incredible and now I love avocados even more. And I’ve been totally craving them since I stepped off the plane! Someone take me back to SoCal for fresh ones! We finished the night off with an out-of-this-world avocado-inspired (what else!) four-course dinner hosted by the California Avocado Commission – those folks are true gems and the food was outrageous…I’m still licking my lips over the California Avocado-stuffed Quinoa Fritter and the Buttermilk Caramel Jelatina with California Avocado Fruit Salsa. Say that 10 times fast! We finished off the night with photo booth fun (see below) and a somber ride back to the hotel knowing that it was all over the next day. There are so many people who are not pictured that I’m so thankful to have met and I can’t start naming people because I don’t want to leave anyone out! This even was, without a doubt, the best blogging experience I have had thus far and I will do everything in my power to go back. I walked away with wonderful memories and lasting friendships only a community like this one could provide. Disclaimer: Imperial Sugar sponsored my trip to The Big Potluck. All opinions are my own. This post contains affiliate links. Great post, Cassie! I am so glad you had a wonderful experience. I cracked up at your photo booth pics. Ali and Heidi are so fun! I definitely plan on going next year! Can I come with you next year? Ha! Glad you had a great time- sounds like a blast! What a fun adventure! I’ve never been sure about this event, but you have definitely made me want to go! it was so wonderful to finally meet you cassie! 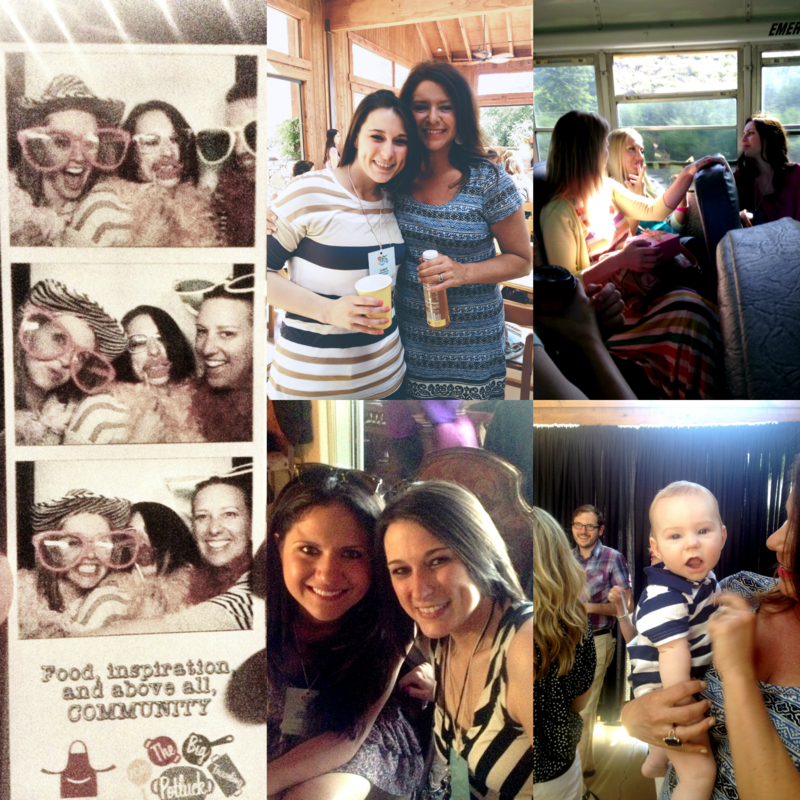 hopefully we get to spend more time together at blogher food. Although I wish I had been there, I am so glad I got to live vicariously through everyone on IG! The photos speak for themselves – what an incredible event!! Thank you for taking us along on your delicious journey!!! 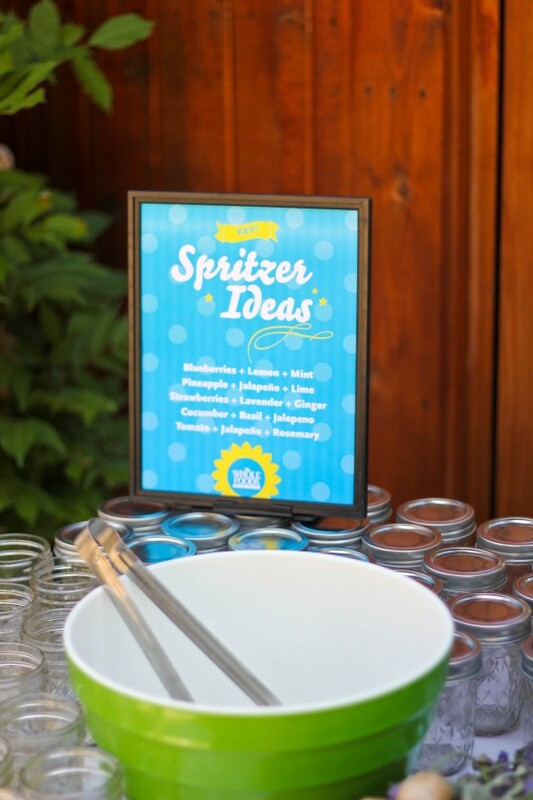 PS: I want that spritzer bar right now! 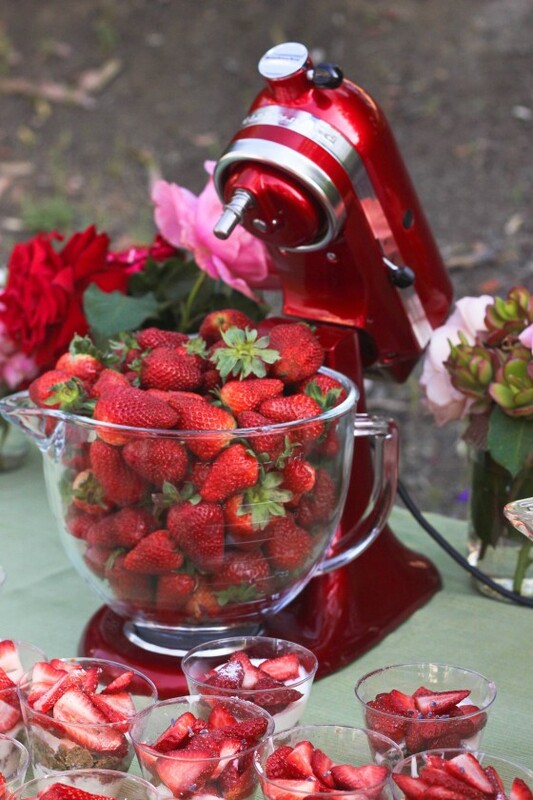 How cute is that mixer with strawberries. Now I have to get a red Kitchen Aid with a clear bowl just for party primp!! I wanted to go this so bad, hopefully next year!! Glad you had fun! I have never heard of this event. Looks like you had a ton of fun! Thanks for the recap! Oh, how wonderful! I am so glad you had a good time! I am fairly new to blogging (just started in Jan of this year) so I have never been to any conferences or anything like this, but now I really want to attend one! It sounds like it was so worthwhile and a great way to solidify existing friendships and make new friends. Thanks for sharing your experience! Cute cute cute! You were such a highlight of the trip, and your wrap-up just makes me want to go back. Thx for the talks too, you’re a special one! What a fun weekend, love your pics! The KitchenAid with strawberries is such a great idea! Cassie this was such a fun post to read!! I am making sure I get to go to this next year!! I am so glad you guys had a great weekend! All the pics are too cute! I loved see all the pictures on Instagram you were all posting. It looked like so much fun! I must go next year. Looks like the Temecula area. Was there wine too? It looks like it was such a wonderful experience – what a venue too! So glad you made it out here! It was great to meet you (in person!) and you are the sweetest thing ever! Please do come to LA soon so I can see you again soon! I really should have gone to this. Maybe if I do though, I would have never got back on the plane to come home! hah! Such a great roundup!!! So glad to have experienced this for the first time with you. Thanks for being a great roomie! Looks like a wonderful trip! Thanks for sharing. How fun! Next year I so have to go!! I’ve been waiting for this post since I found out you were going! So glad you had a great experience! I’m so glad you gave some more details! I was so curious via Instagram! What an amazing experience! Sounds like a wonderful weekend! It was so good to see all this fun on IG…. Looks like you all had such a great time! Beautiful pictures Cassie! It looks like an amazing weekend! Um, can you hook me up for next year? 😉 Lol! Sounds amazing! You can’t beat the beautiful Cali sunshine! It looks like you had an incredible time! I think it must be so incredibly fun to go to something like that. I’m happy you shared a little with us! What a fun recap Cassie, it really was like a retreat. I’m so glad we met! Hope we get to see each other again! Are you going to Food Media Forum in STL this year? Hope so!! I think I am! be accepted, nor will the Embassy confirm the progress of processing.